A crisp and fresh DOMESTIC Granny Smith, dipped in buttery caramel, then dunked in our creamy milk or dark chocolate- then rolled in our WORLD FAMOUS ALMOND BUTTER CRUNCH! 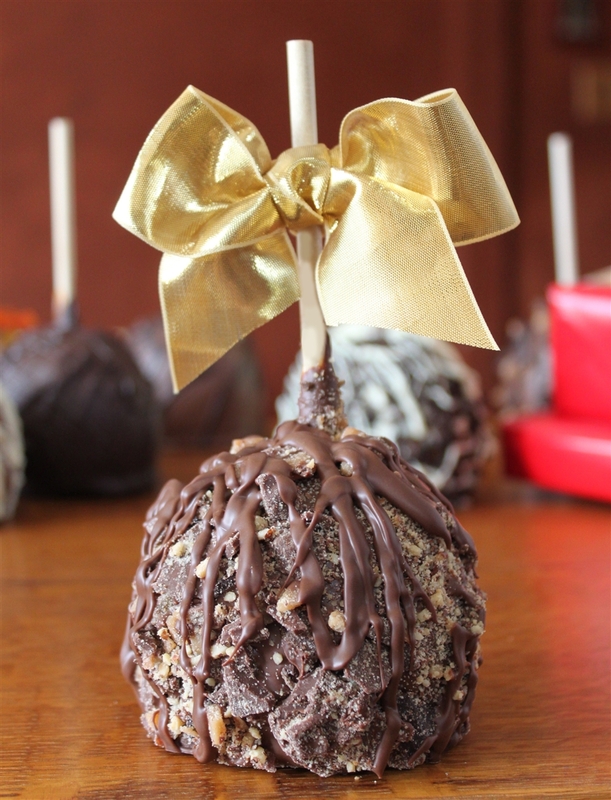 OK, this is really the caramel apple that started it all for us! We can offer this to you for about a third of what the big "famous" caramel apple makers charge online! Why? Because we don't spend 20 million dollars on internet search advertising! We know a little more about chocolate, caramel and how to make a candy taste delicious because we have been doing it for 83 years! Now remember, this apple is subject to us having almond butter crunch to actually put on the apple. There may be times we are out because we are constantly cooking the toffee in the copper kettle and pouring it on a marble slab, but it is so popular we can't always keep up. Read about our almond butter crunch and you will understand that we make this old-fashioned way: Butter, sugar, almonds, real milk or dark chocolate. This caramel apple does not have little bits and pieces of chopped up commercially sold candy bars. This is rolled in OUR FAMOUS ALMOND BUTTER CRUNCH! Select the chocolate you want to use under the butter crunch! The butter crunch itself will be a mix of milk and dark coated pieces! Approximately one pound of caramel apple, chocolate and almond buttercrunch.